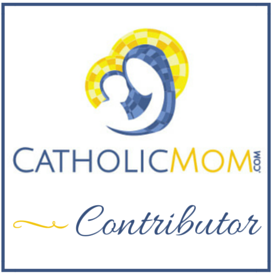 Welcome to CatholicMom.com’s Small Success Thursday! Here’s your chance to recognize that not all successes consist in earth-shaking events; in fact, most of our successes are the small kind that add up to a wonderful life. Be sure to check out other Small Success posts this week, and feel free to join in, either in my comboxes below or by blogging about your own achievements. I got back to blogging more regularly in October, only to fall off a cliff or something! I had missed writing here for nearly a month before I started back up this week. But I sat down on Sunday and mapped out a blogging plan for the rest of the month that I think I can deal with. I’m still keeping track of new blogging ideas in Evernote, so I’m hoping that by the end of December, I’ll have ideas mapped out for January. All of this is in response to a not-so-gentle nudging that I need to write more and finish that book I’ve been working on. When I was at the Dominican Congress in early November, a friend told me that while she was praying she received a message for me from God. He said to finish the book. Since my friend tends to know when God is sending her a message, I trust that God is tired of me pussyfooting around. (Add to that knowledge the idea that she didn’t really understand what that message was about until she passed it on to me and I told her about my book.) I have only about another 6,000 words or so in the revision I’ve been working on, plus some work on the introduction (which I hate right now). I know there will be more work to do when I’m done with that, but I think that’s the part I need to really focus on completing. And working on the book is bringing about more ideas for blogging, as well. Oh and ideas for a few other books. I’m crediting this surge in writing ideas with a renewed prayer life. Ever since that Congress for the Lay Dominicans of our province, I’ve been committed to being consistent in my prayer life and truly engaging in the prayers I say. I still have trouble with getting time for daily Mass right now, but other things are falling into place for me. I’ve been much better about Morning and Evening Prayers and a daily Rosary, and I add small bits of prayer at other times of the day when I can (an Angelus here, an extra Memorare there). It helps that my family has been super supportive of this commitment; they help me make the time to pray, and they frequently join me. So how has your week been? What are your Small Successes? Tell me how you’re doing in the comments below! Go YOU!! And go easy on that hip. My daughter is a runner (and a rugby player. Yes. Really.) and she had some trouble with her hip last rugby season. Go get it checked out. Stay healthy! And keep writing–can’t wait to see what you come up with!